Grosgrain: Sew Liberated Book GIVEAWAY!!!! CLOSED. Sew Liberated Book GIVEAWAY!!!! CLOSED. Boy, it's been a busy morning! I had a cookie exchange, dropped Lily off at kindergarten, then went to the dollar store. I've finally had a chance to sit at my computer for the first time all day! To start things off this late Thursday morning, I'm thrilled to offer a copy of Sew Liberated: 20 Stylish Projects for the Modern Sewist to one lucky Grosgrain reader! 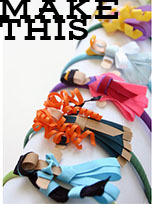 Perfect for that crafty friend or yourself! Meg McElwee (pictured at bottom) teaches you how to transform your sewing by adding personal touches with appliqué details and other handwork. Check out my personal review here. Take your sewing skills to the next level with projects ranging from the beginner's Heirloom Duvet Cover to the advanced Capture the Moment Camera Bag. McElwee's background as an early childhood educator stands out in the inspired section on sewing for children, which features a chef's hat and apron, an artist's smock, a blanket baby carrier and more. Step-by-step sewing project instructions, color photographs and illustrations, and comprehensive how-to appliqué and embroidery instructions make Sew Liberated an all-in-one resource and guide. 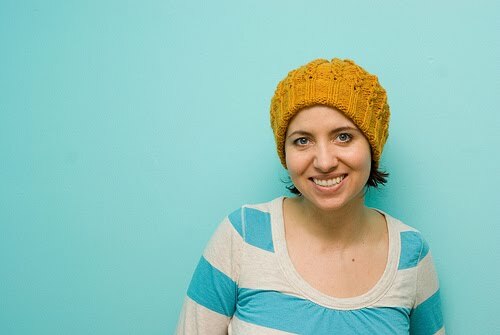 Sew Liberated provides you with all levels of new techniques, creative challenges, and a full range of projects ranging in difficulty and time commitment. Must. Have. This. Book. I have been eyeing it for awhile. I have a Sew Liberated tunic pattern but haven't made it yet. I have seen this book and it looks like so much fun. I hope win it. Oh that looks like a fun book -- count me in please! Sew cute! Count me in! What a fantastic giveaway please enter me in this and I will also try to link it to my site. I love your blog! Would love to be entered, thanks! Glad I can be in with a chance to win it!! What a great looking book! Would love to use it! Count me in. I tried to buy this book on Amazon yesterday - but it wasn't released yet! So, let's see if I'm luckier over here. oh wow, what a cute book. I've heard talk of it for a while now but have never seen any of the projects. 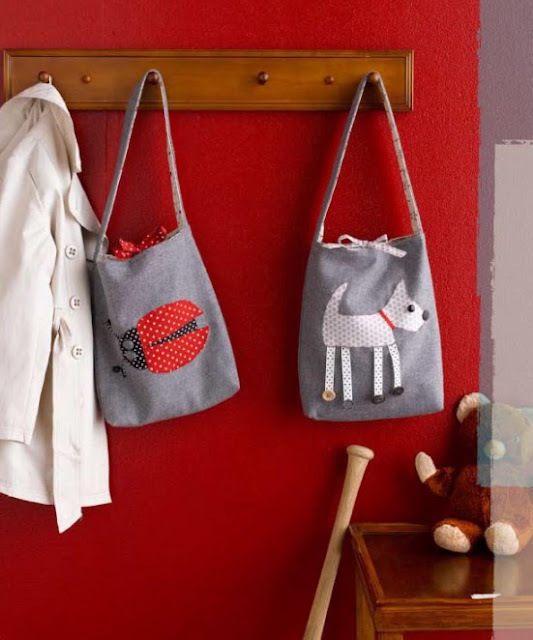 I love those cute kids bags! what a great book! I have been eyeing it for a long while now... thanks for the give-away! I've been waiting for this book to arrive! So happy to be able to comment and try to win it here! I love Meg's blog and I'd love to have this book! What a great giveaway. Love everything I've see on your blog! Thanks for the chance to win. would love this book to enhance our craftiness around the place! I have seen this book so often on those craft sites. Sadly, I can't get it so easily in Germny. This looks like a great book to get! I love that you opened up your giveaways without a link now! Thanks!! I love your work and Id love to win this book! need.need.need. i love this and have been wanting this book. That book looks so good! Thanks for the giveaway! Me! Me! I SEW want this book. I have made about 10 of the 'Emmeline' aprons from Sew Liberated and found it very easy to follow her patterns (I'd say instructions but I lost the instructions and was still able to sew them up just from her quality pattern. Beautiful book, I would love to learn from it! That is some of the cutest things that I have seen in a long time. Oh wonderful! fab giveaway. I *heart* this book. I linked! This book is already on my wish list! I love the Sew Liberated patterns! I would love this book!!! By the way, thanks for the Midsummer Night's Dream tutu tutorial. 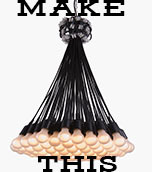 I made one out of hot pink tulle and have the supplies to make another - both are Christmas gifts. I would love to win this book. At work or I'd tweet the link too. hello! I actually found your blog THROUGH Meg's blog! 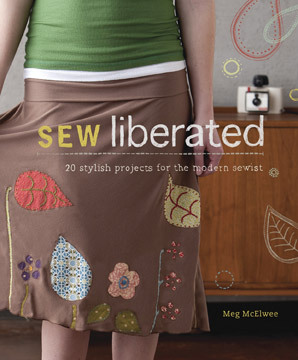 I am a big fan of Sew Liberated and this book looks awesome! Thanks for the chance! would love her book, please enter me ! thanks !!! How exciting! I have been craving new techniques as I am in the beginning stages in my craftiness! Yay! I love books like this! Wow! It sounds like so much fun! I love it so I linked to it!! What a cool book! Looks like it has some really fun projects in it! lovely giveaway -- I esp. love the tree/leaf pillow photo! What a lovely book! That ladybug bag is adorable. Thanks for the give away! I have a hold on this book at the library and have been itching for my turn to check it out. It looks great! This book looks awesome. It would definitely inspire me to break out the machine. This is awesome! I'm always looking for new things to sew! I linked and posted! I have been wanting to get my hands on that book! Looks fantastic - thanks for the giveaway! love that skirt - and pillow - and bag - love it all! Beautiful, I love the projects! Great book! I would love to have it! Amazing! Perfect for my new sewing machine. Made a link too. This would be so great to have.... I got a sewing machine for Christmas (early gift) and I have no idea how to start... Great Giveaway!! That book looks SO AMAZING! I love the whimsical designs you showcased. I would like to have that book! looks awesome!! what fun :) thanks! This books looks like fun ... always love getting new ideas!! Ooo, I have been waiting to buy this one, would love to get one ahead of time! See if I can win it before I go buy it! Hi there...I just linked to you! I love your giveaways and this book would really be a blessing to me and my dreamy crafty wishes! I have that very book on my Christmas Wish List this year! I would love it! Hi, great giveaway. Thanks. Created a link. I linked you. I hope I win!!! Ooo, that looks like a great book! i need to have this book! maybe i'll win it and i don't have to buy it =P thanks for the giveaway! Looks like an awesome book!! hope I win! What a fun looking book! Count me in! Just learning to sew! would love something like this! This book is on my Christmas wishlist! I'm always up for a givaway, especially when the prize has to do with sewing! Oh I so want that book! I've been seeing that on all the blogs I read and have been drooling!! Oh that looks like a great book! Maybe santa will bring it for me? Looks like a great book to add to the list of must haves for those that sew! I love those darling little bags, the ladybug is divine! I've been wanting this book since she announced she was writing one and I'd love to win this giveaway. This looks like such a great book! Hope I win- thanks for the giveaway. I can't wait to get my paws on that book! Great giveaway of a great looking book! I would love, love, love even the chance to win it... thanks for the opportunity! I linked on my Facebook!! I HOPE I win!!! This book is so neat!! I linked on my Treasures for Tots Facebook Fan page - I really want win this book!! Love it, made my link! i would so love this book!! This is an awesome book! And thank you for making it so easy to link to facebook and the rest! I don't know if I would keep this for myself or do the nice thing and wrap it up for my sister! I want it too! Yes please! I've linked as well and am so excited to read Meg's book soon, whether through giveaway or buying my own copy. I've been reading her blog for a while, and she does have a great eye for design. 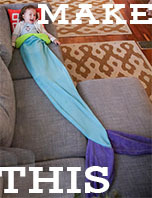 Would love to win her book & bring some of the fun into my home. This looks so cool! I would love to enter! 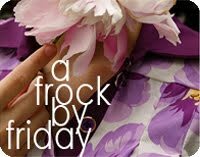 i love her blog - i am sure i would love her book too ! add me - I'd love to win. I want this book! Thanks for the chance to win. This looks like a fabulous book! Would love to win! Would LOVE this book! thanks for the chance! This book looks amazing!! I love it! Please count me in. I would love to win this book! I've been waiting for this book to come out! how exciting! I am leaving a comment and sharing this on my Google Reader! Also, I would just like to state again, that I really, really miss the old layout of your RSS feeds. I've just started sewing, so I would love to learn more with this fun book. I just got a sewing machine a few months ago and am slowly learning. Would love to win this! Apparently I am tech-illiterate because I cannot--cannot--figure out how to link, so thank you for checking comments too. This book looks fabulous! Thanks for the giveaway opportunity! I've got to win this! I am new to sewing and love the things you have pictured here. I want to get going with some adorable sewing projects! So CUTE! Want! :) Just waiting for when I'll have the time/money to go buy fabric and play with projects! Have been eyeing this book forever. Would love to win it!! Ooh! I have the fabric...just need the inspiration!! Pick me!! What a great giveaway! I just finished all my Christmas gifts so I'm looking for something new to make... this would be a perfect place to get started! Would love if i could win this book. Love it. I so want this book!! Looks like sew much fun! I linked. It's on the sidebar. What a fantastic giveaway. would love to win this. just linked to my blog too. A great way to spread the love. Crossing my fingers! Oh I love her patterns ~ "sew" easy to follow! I would love to win her book! Ooh... I desire to have this book! oh please enter me.. I'd love to win the book. Ooo.. I've been wanting this book for quite a while. ve had my eye on this book for a while now. would love to win it! Oh--terrific book! Enter me please (I'm buying a copy for a friend after the holidays for sure). I linked, I linked!!! Love this! oh I would love to have this!! would Love to be Sew liberated! haha! I would love to sew. This book looks like a great place to start. I would love to have this book! I feel the create vibes flowing just looking at the pictures. I've been eyeing this book for quite a while. I'd love to win a copy. Thanks for the chance. nice giveaway sister! good luck to all! Great giveaway! Great book! Love Meg's blog! This book looks like so much fun! Thanks for doing this give-away! I'd LOVE this book. If you follow the above link I linked to this post from my blog! Looks like a great book! Thanks for this giveaway! i can't wait to see a copy of this book in person! 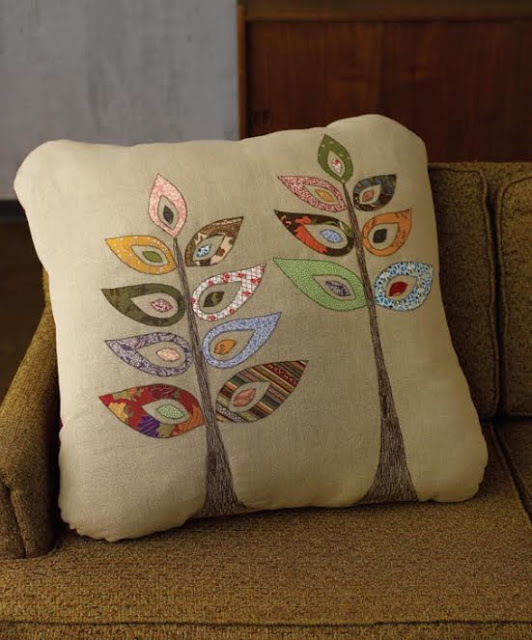 i love that appliqued tree pillow. Would love to add this to my sewing reference library. this book features the kind of stuff my mom can't teach me about sewing. perfect! Oh my! I'd LOVE to own this! It looks GREAT! My daughter and I love to sew together and this book would be perfect for us to both go through to sew from. looks fun. fun new projects! I love her blog. She is such a creative lady! I have had my eyes on this book for awhile but with 4 kiddos Mommy is usually last, LOL! Ooh, I'd love a chance as well! I WANT this book! I hope I win! Wow. would love that book. I have been having looking at the for a while now.